Fluence Bioengineering is continuing to expand its in-house knowledge of greenhouse production. 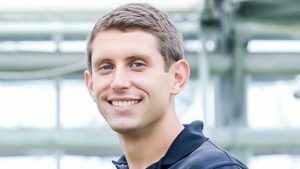 The company recently hired Travis Higginbotham, formerly with Battlefield Farms, as its Director of Cultivation Support. Higginbotham will leverage his background in large-scale, commercial growing, biological controls, integrated pest management (IPM), and most recently supplemental greenhouse and sole-source indoor lighting research, to help Fluence customers adapt their standard operating procedures to achieve their full potential growing under LED lighting technology. Higginbotham was Director of Research and Development for Battlefield Farms, where he assessed new techniques to optimize production in all facets of the supply chain by working directly with researchers, breeders, growers, production managers, and large retail chain buyers in the commercial horticulture market. He has a Bachelor of Science in Horticulture from Clemson University and is currently finishing his master’s degree in Horticulture at Virginia Tech University. 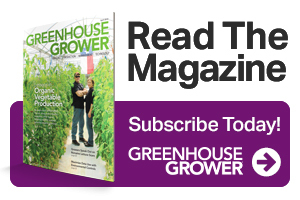 Greenhouse Grower recently caught up with Higginbotham and asked him about his new role. Travis Higginbotham: My previous experience was focused on project management, product development, and problem solving on a commercial scale in the horticulture/floriculture market. These types of roles allowed me to experience all facets of a greenhouse operation, and in turn I had the opportunity to directly influence production/growing and customer interaction. I worked directly with growers, production managers, researchers, breeders, vendors, and retail buyers as well as managing my own team. This experience has prepared me to bring a greenhouse production mindset — that understands the current challenges — to a science that will reshape the way we grow or, at least, the way we think we should grow. GG: What are some of the biggest issues or concerns growers are dealing with today, and how do you plan to help them deal with these issues? Higginbotham: Growers, depending on their experience and specialty (crop types and production type), have questions on all environmental factors and materials used in horticulture because materials and methods are constantly changing. I feel some of the most challenging are in regard to clean irrigation water and irrigation water source. With changing environmental regulations in many states to high alkalinity and high chlorine levels in city or well water, to disease pressure from ubiquitous water molds, it is hard to know where to start. My first priority is to help educate on current practices that have proven to be successful. I want to help growers understand they are not alone in their goals because when growers learn, we all benefit. Floriculture greenhouses, nursery crop production, agricultural edible crop production, and controlled-environment vertical farming and cannabis production are all linked. Learning can bridge the gaps between these industries, and as we move toward more controlled environments, these industries are going to be more linked than ever before. I plan to learn from all of these industries and help apply proven strategies to help growers reach their yield goals, IPM goals, and production process goals, while learning together about light and every factor that influences plant growth. Higginbotham: This question can be specific to which live goods industry we are talking about, but in general the constant evolution of environmental and economically sustainable growing is not going to change. Even with the current administration in the U.S. being slightly more lenient in certain aspects of environmental crop production than the prior, the end consumer is certainly going to continue to be environmentally concerned. And we, as an industry, should be, too. Our positive or negative environmental impact is extraordinary. In regard to controlled environments with cannabis or vertical farming a challenge is finding precision among all environmental factors in relation to light intensity and spectrum. The future is very optimistic, with intelligent lighting or environmental growing systems being the goal. We are learning every day. Concerning ornamental production, the challenge is labor and process efficiency moving forward. How can this industry optimize with new technology like lighting systems that cure seasonal problems inflicted by natural conditions, and how can growers have processes in place to prevent disease, dry down events and postharvest shrink with less labor costs? For this industry, automation is optimistic, with robots for moving and spacing plants to drones that apply photoperiodic lighting solutions and disease detection to moving away from single-level propagation greenhouse facilities to indoor vertical, environmentally precise, high-density propagation facilities. Higginbotham: I can add to the motivation and the conversation. I hope and will try my absolute best in moving the industries forward, but I am only as strong as the people around me. I am so happy to learn from the new team I am working with and the combined passion and multitude of specialties and research we have at our fingertips. A team mentality and forward thinking is what is going to move this industry forward. Something I learned to value from Marco Verdel, Head Grower at Battlefield Farms, was: “It’s not always what you know, but who you know.” The relationships we make and the people we surround ourselves with will aid in all of our success and thus the industry. Higginbotham: My personal dream was to own my own retail garden center that supplied quality trees, shrubs, annuals, and perennials directly to the end consumer. In combination with the garden center, I wanted to manage a landscaping service that designed, installed, and maintained landscapes for residential and commercial contracts. However, now, when I have the opportunity to learn every day from the top growers in the world, possibly have some positive impact on others’ wellbeing and food supply chain, along with being blessed with working with great people, I am living the dream.